Haven Horizons provides information, creates awareness and supports projects which focus on the prevention of violence against women. 16 Days of Activism Against Gender-Based Violence is an annual international campaign to challenge violence against women and girls. The ‘16 Days’ run from 25 Nov, the International Day for the Elimination of Violence against Women, to 10 Dec, Human Rights Day. 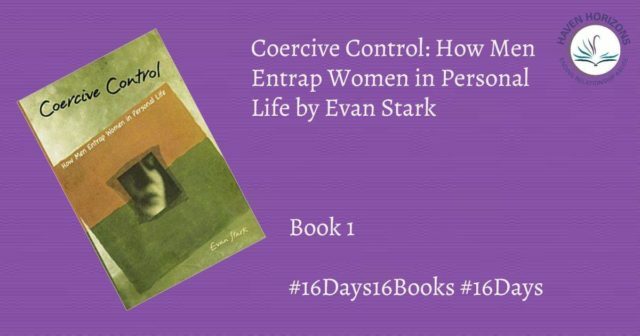 Every day during the ‘16 Days’, Haven Horizons will recommend a book on the topic of violence against women. Haven Horizons has donated copies of the books to the National library service. Visit the Haven Horizons Facebook page to participate.